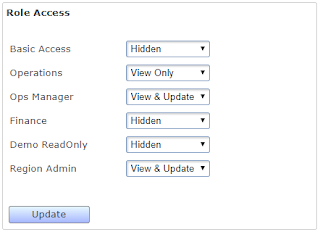 However, if there are a large number of events or data fields that need to be set, then it can be quite cumbersome to go through all events and data fields and set the permissions on each one. 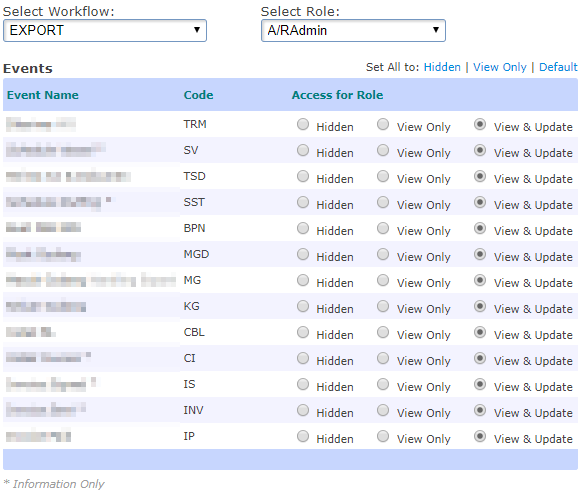 To enable users to set role permissions for all events and data fields in one go, we have released a new page under Admin > Role Management. 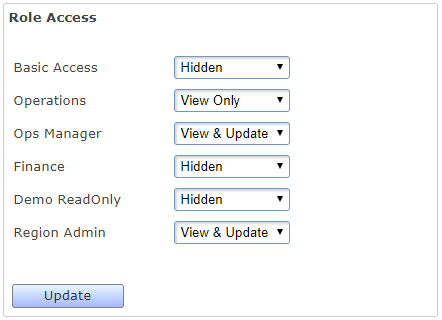 Once you select a workflow and a role, you can set the permissions for all events and data fields in one go.